In Lindos, the most beautiful village of Rhodes island, you will find a dreamlike house for your perfect vacation. It is situated on the enchanting and world-famous Lindos Main Beach. Built 50 m above sea level offers a luxury romantic getaway for two. This worldwide popular and awarded villa guarantees an ultimate holiday experience. Featuring a unique fusion of traditional and contemporary living, Vigli can accommodate four guests in two exquisite double bedrooms. 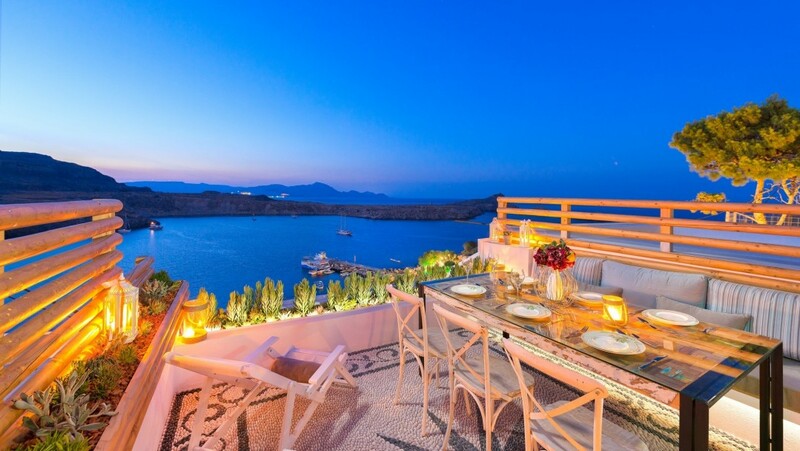 This stylish complex located on the most ideal point of Lindos offers delightful holiday properties for families, friends, couples, wedding groups and honeymooners searching ultimate luxury facilities and stunning views. They are just one minute away from Lindos Main Beach and right below the Acropolis. Featuring modern Lindian decor, this accommodation is peaceful, overlooks the Aegean Sea and has free Wi-Fi throughout.